They’ll all scream for our scrumptious surprise! 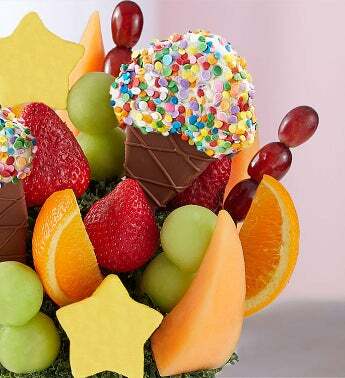 We’re bringing the fun with dipped & sprinkled pineapple slices that look just like ice cream cones. 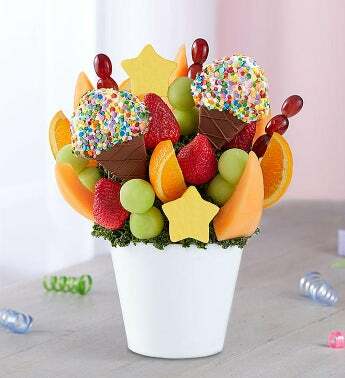 Juicy strawberries and melon get into the mix, making this fun fruit bouquet the perfect party treat. Keep their celebration going by adding a cuddly plush bear or festive balloon.